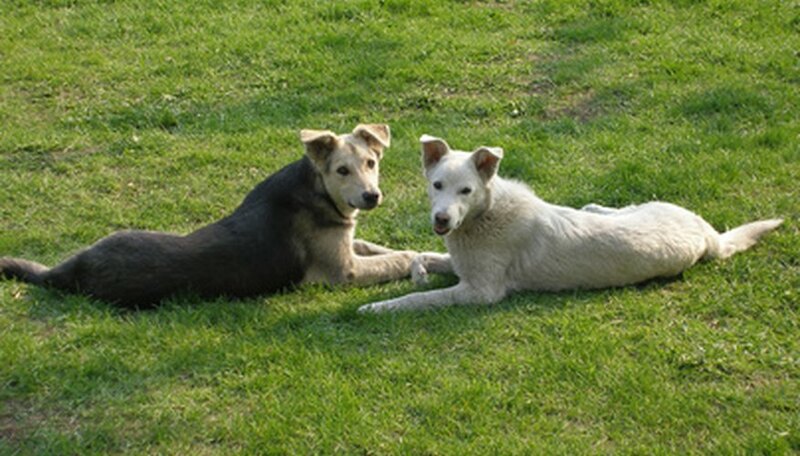 The best types of grass for dogs comes from seeds that have proven some resistance to the presence of animals. 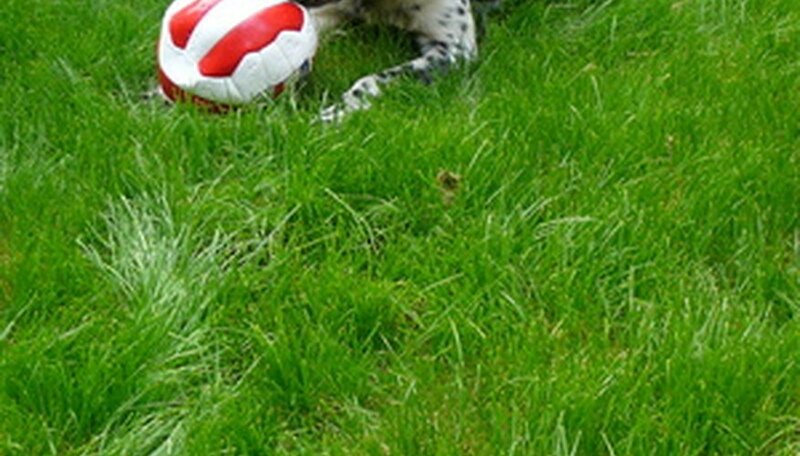 Proper maintenance also goes a long way in producing a strong, healthy, dog-proof lawn. Some types of grass are better than others for dogs. Bermuda is a solid choice for wear from dogs because it is spread by both “rhizomes,” long creeping underground stems, and by stolons, stems that creeps along the surface of the ground and take root at intervals. It is a warm season grass, meaning that it grows vigorously during hot weather and goes dormant in the winter. Bermuda grass is an aggressive spreader that looks best when cut as low as possible, about 1/2 inch. You can also over-seed ryegrasses on top of Bermuda for more protection during winter. Zoysia is also a warm season grass that grows from rhizomes, although it grows more slowly than Bermuda. It is slow to establish and has a long dormant season, but is hardy and has little disease or pests. The japonica variety is listed by the editors of Sunset magazine as “very wear-resistant,” which makes it an especially good choice for dogs who spend a lot of time in the yard. Another variety, matrella will maintain its green color in climates with mild winters. 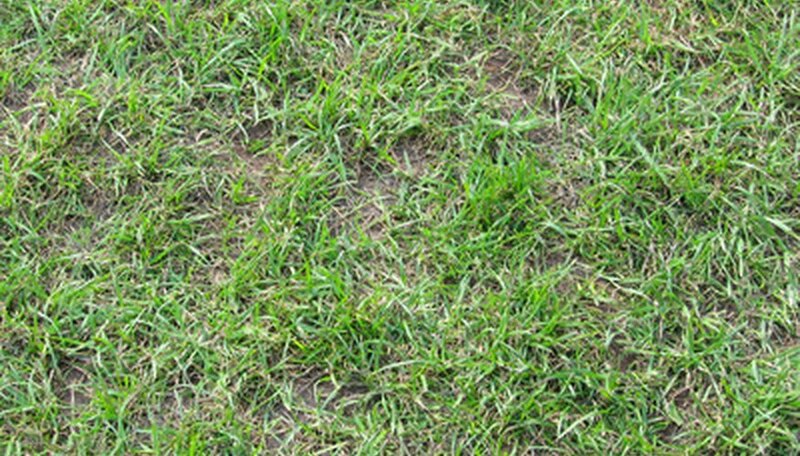 Kentucky Bluegrass is a cool season grass that will stay green during the winter, although its growth slows down and it wilts in hot, dry summers. 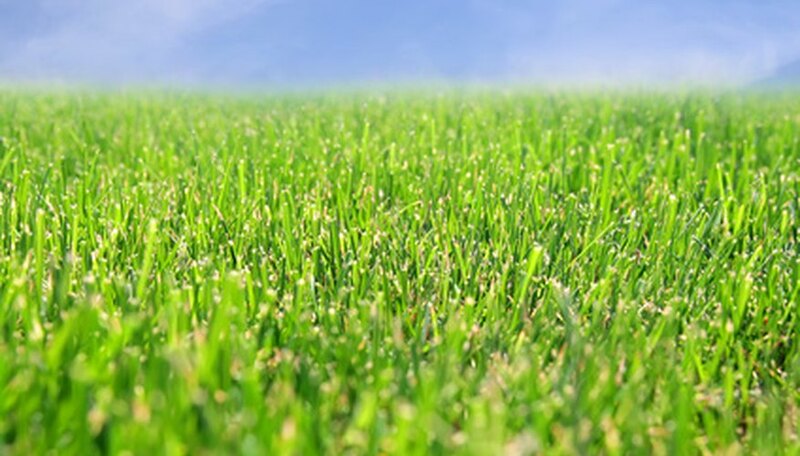 Kentucky bluegrass is, in fact, a mixture of many grasses. It has dark green leaves and makes a dense lawn. Unlike zoysia, Kentucky bluegrass is susceptible to a number of insects and diseases so it’s important to keep it healthy if your dog also puts stress on the lawn. Tall fescue grass can be added to Kentucky bluegrass for extra coverage. When needed, you can also add ryegrass for quick repairs. Dr. A.W. Allard, a Colorado veterinarian who published a study of grasses and dogs in 1981, titled “Canine Practice," reported that fescue and ryegrass were more resistant to damage from urine than other grasses tested. He adds that, dog urine even produced a “fertilizer effect” on the grasses in diluted concentrations.